Juantomás leads S|ngular’s Data Science team and is also Chief Envisioning Officer. Juantomás is a Google Developer Expert for Cloud and Machine Learning, co-author of the software book La Pastilla Roja, and creator of “AbadIA”, the artificial intelligence platform built to solve the popular Spanish game La Abadía del Crimen. He’s an expert on free software technologies and has been a speaker at more than 200 international industry events. 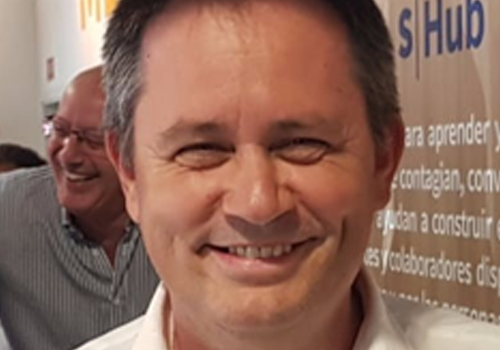 Among the various positions he has held during his 20-year career, he has been Data Solutions Manager at Open Sistemas, Chief Data Officer at ASPgems, and President of Hispanilux for seven years. He studied IT engineering at the Universidad Politécnica de Madrid and plays an active role as a tech contributor and mentor to various academic organizations and startups. He regularly organizes Machine Learning Spain and GDG cloud Madrid meetups, and is a mentor at Google Launchpad for entrepreneurs.